Dental implants seem to be a standard solution for many persons who are facing tooth removal. Even though this is a great alternative to replace a natural tooth, some patients still have doubts and ask for the second opinion when it addresses the post-operative care. Dental implants are supporting a wide range of prosthesis which replaces missing or damaged teeth and with time they become a part of the patient’s body. When inserted in the mouth, dental implants fuse with the jaw bone and at the same time, they create secure anchors for the next prosthetic solution. It could be a dental bridge, single crown, or removable dentures that match the nature as the original teeth. Nowadays, dental implants offer so many advantages but, patients often have fears about the whole treatment because of its nature. Fortunately, there are a lot of pre-options anxieties which can be used for alleviation and also for an optimal recovery. If a patient considers having a dental implant surgery he should be interested in the do’s and don’ts about pre and post-operation. What should the patient do before the implant surgery procedure? There are so many examinations that should be done just to be sure about the outcome of the implant surgery. In order to minimize the risk during the implant placement procedure and for having a safer treatment the dental professional should do a careful examination. This is a very important preoperative examination because if the patient is diagnosed with some systematic disease for example hypertension or diabetes, these illnesses could become risk factors for the implant procedure. Any of mentioned diseases may interfere with the implant procedure and if infections are found, they would be treated as a priority. gum ridge conditions and biting are also inspected in order to determine the position and the size of the implant. The gum disease, biting anomalies, and tooth decays should be treated before the implant procedure. The bacteria which are responsible for gum disease such as gram-negative anaerobic and may include a. actinomycetemcomitans, b. forsythus, p. ginigivalis, p. intermedia, c. rectus, treponema sp, could break the bone which supports the tooth. If the implant procedure is completed without a treatment for gum disease, the bone that should support the implant may become infected too. This type of infection may lead to a risk of losing the implant just exactly as losing a natural tooth. When biting behaviors are addressed, if the patient has bruxism or clenches his teeth, it is very important to correct this parafunction because they can cause problems with the implant. 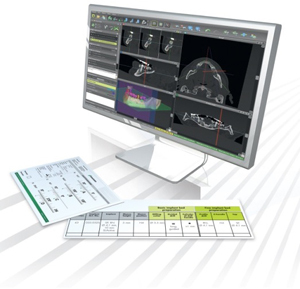 This computer tomography allows cross-sectional photos which provide the exact information of bone height and at the same time, the therapist may see the exact position of the new implant. It is recommended for the patient to stop smoke and drink alcohol. It is very possible that these activities would exert a negative effect on the fusion activity between the body and the implant. This means that the implant treatment would be unsuccessful. Those people, who can’t quit these lifestyle habits immediately, it is suggested that they gradually decrease the dosage of drinking and smoking in prior to the start of the implant surgery. Another thing to consider is that the patient must be in good health condition. If the person has a high fever or a bad cold, the implant procedure would be rescheduled. Even slightly ill could interfere with the healing after the surgery, and that is why the patient's health condition must be controlled. - Please try to avoid drinking alcohol the day before the surgery, it might affect the effect of anesthesia. - Do not delay if possible your implant procedure: Keep in mind that the longer a patient misses a tooth, the risk of bone loss is greater. 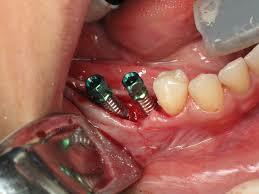 Dental implants would prevent the bone loss by attaching with the bone. This is a great reason why not to postpone this treatment. - Most of the patients are more afraid of the post-operative part of the treatment. Here are several tips and advice on what to do and what to avoid after your implant surgery day. Keep following all the instruction given by the dental professional. He knows the best how the patient can recover properly from the dental implant treatment. - Take a break and rest the day of your dental implant intervention. Finally, the body needs to recover. Some patients may want to go to the gym or play sports but this may cause bleeding or throbbing during the exercising. Patients should be also aware that bending, lifting or other dynamic activity can lead to increased pain, swelling, and bleeding. Another good advice is to keep the head propped with two or three pillows to produce better blood flow to the head and at the same time to reduce swelling of the face and mouth. 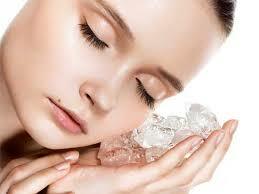 - Keep ice packs on the targeted part of the face in order to reduce swelling. Most of the dental implantologists will advise to keep the ice 15 minutes on and 15 minutes off. 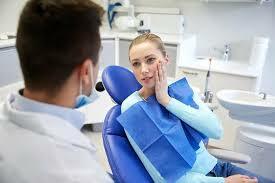 - Take the pain medication immediately after the dentist instructs even if the patient doesn’t feel any kind of pain. It is simpler to prevent the pain than to treat once it starts. - Eat soft foods when the bleeding stops. Try to consume liquids and soft food the first two days after the implant intervention. This includes yogurts, soups, mashed potatoes and etc. This way the patient will heal faster and at the same time, he will have more energy. - Keep the oral cavity clean. The patient would be instructed to rinse his mouth a few times per day with salt water. Maintaining proper oral hygiene is a key factor in obtaining successful implant surgery. The most important thing is to not disturb the targeted area with the tongue or with fingers while rinsing. This may cause bleeding because of the dislodging the blood clot which has been formed. The dental implants should be maintained well in order to last longer. 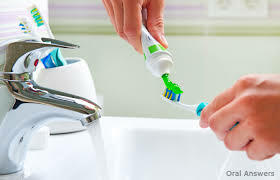 The patient needs to brush the teeth at least twice per day, rinse the oral cavity with a mouthwash which contains chlorhexidine and uses water flosser such as waterpik. This way, the patient will prevent the diagnose of peri-implantitis, an inflammation which is addressed negatively by the implant. If peri-implantits is diagnosed, the following gram-negative anaerobes bacteria could be found: Prevotella intermedia, Porphyromonas gingivalis, A. actinomycetemcomitans, B.forsythus, Treponema denticola, Prevotella nigrescens, Peptostreptococcus micros, and Fusobacterium nucleatum. The bacteria are stitched to the implant right after it is placed so, a proper aftercare is more than important to keep the implant as long as possible. - The patient shouldn’t push himself to the maximum limit. When having a dental implant intervention he has to stay calm and rest. The gym time, jogging, and other sports activities need to be paused. This way, the patient can move the blood clots from the affected area and when they have moved a condition such as “dry socket” may occur. This is a complication which is more common after a tooth removal, but it can be also a part of the implant procedure. - Hot foods or drinks should be avoided until the patient is no longer numb. He has to avoid any other burns in the oral cavity. Hot drinks may cause swelling or if any they can cause the swelling to last longer. - The patient has to avoid chewing hard and crunchy food such as carrots or popcorns for the first one to two months. If he doesn’t eat properly he may have a weaker immune system and it is possible that the patient would be prone to infections because of the extended healing period. The patient should take more proteins, key vitamins, and calcium. - The patient has to avoid smoking or drinking any alcohol. This is especially important because the nicotine found in smoke constricts blood vessels and this way the blood flow to the soft tissue is reduced and could affect the immune system to respond to some action. Because of smoking, the body doesn’t have enough oxygen to heal properly. All this slows the healing process and also affect the long-term health of the bone and gums. The healing process can be compromised by a poor diet, lack of dental oral hygiene, and excessive consumption of alcohol. The recovery period from a dental implant intervention could be stressful, uncomfortable, and inconvenient period for many patients. It is quite good to stay relaxed for a while after an implant surgery. In the most of the cases, the healing process depends on how the patient follows the post-op instructions given by his dental therapist. All patients who plan an implant surgery should consider the fact that it is normal to feel little pain after the anesthesia wears off. They need to have patience because the pain will not last long. But, if a person is concerned about the pain, he has to talk to his dental professional.